Traditional active investment managers strive to beat the market – they rarely succeed. 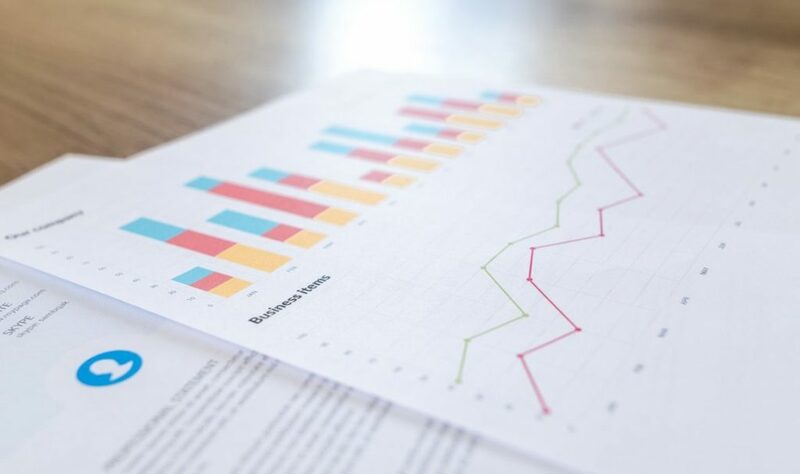 Studies have shown less than 10% of active investment managers consistently outperform the market and when their fees are taken into account that figure falls to less than 1%. Markets throughout the world have a history of rewarding investors for the capital they provide. 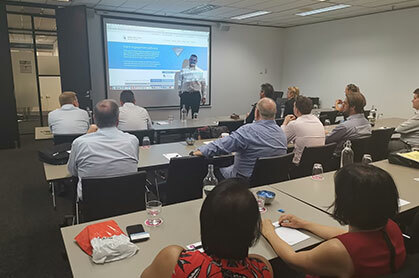 Allocating funds to the sections of a market that offer long-term risk and return characteristics is shown to be the most successful way to capture market returns. So the question is: why continually try and outwit the market when it exists to work for you? 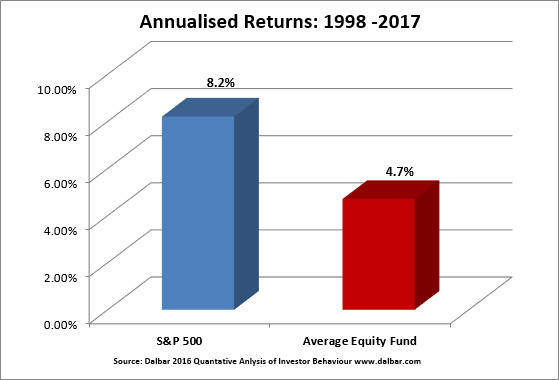 This chart compares the returns delivered by the US share market over a 20-year period, against the returns of the average equity investor. 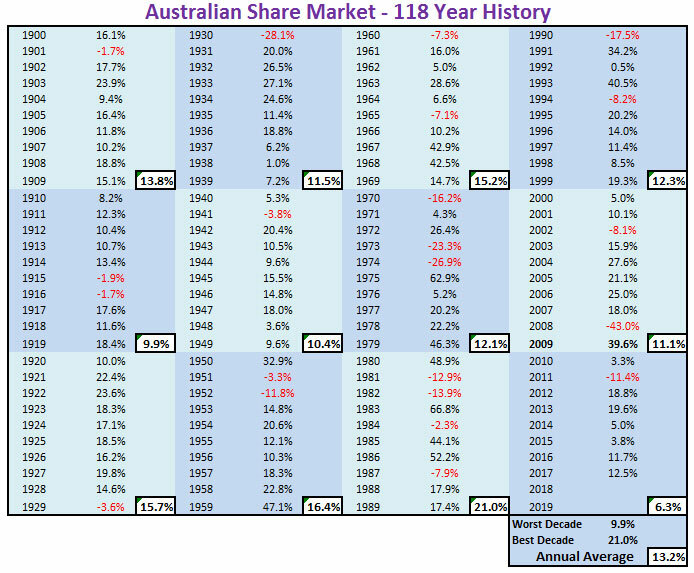 118 years of Australian share market returns illustrate if an investor picks and sticks with a strategy that works with the market, their patience will be rewarded. At Blue Diamond Financial we work with the market and focus on what we can control.